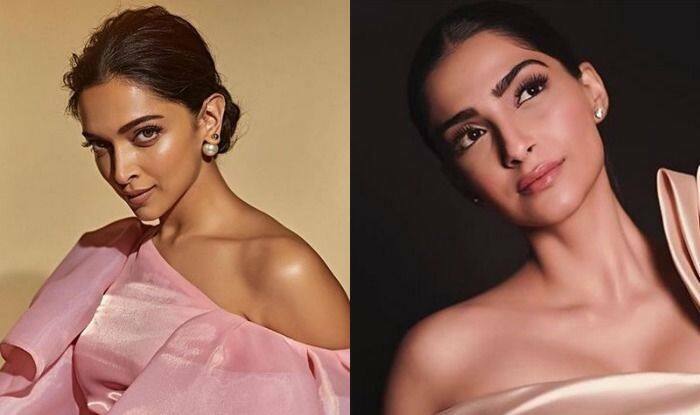 Deepika Padukone And Sonam Kapoor Both Look Pretty in Pink, But Who Wore it Better? Deepika and Sonam wore different shades of pink and rocked their looks. When it comes to fashion, our Bollywood divas never fail to deliver, whether it be in western or traditional attires. The different hues they incorporate into their dressing also give us ideas about trying out some of the styles. Take for example actresses Deepika Padukone and Sonam Kapoor, both who are wearing different shades of pink and looking gorgeous as ever. Where Deepika is concerned, she shared a few pictures of herself on her Instagram page wearing a pink top, tangerine pants and shocking pink heels. She paired the look with her hair in a bun, minimal make-up and pearl earrings. The pink made her dusky looks stand out more. She captioned her picture as, “Anything is possible with sunshine and errr….a lot of pink.” Check the pictures out. Sonam on the other hand, had a champagne pink dress on, with her hair in a bun and very minimal make-up. She paired the look with shoes of the same colour as her dress. From the caption she had put on her post, she was styled by her sister Rhea Kapoor and it was for the IWC Silver Spitfire Gala Event. Check her pictures out. The two ladies definitely rocked their looks and have given major fashion goals with their pictures already getting a good number of likes.